The readers of EZ Horse Betting have been asking us to provide some simple betting suggestions for use at an online racebook. While there is no guaranteed way to win when gambling, some of these tips will certainly improve your chances. Best of all, using them requires very little handicapping skills. Here are 10 basic horse racing betting tips that you can start betting today. The past performances of a race are required to present certain information. One piece of info is any equipment changes. Equipment includes things like blinkers and bandages. You should take note of any horse that is adding bandages for the first time today. When a trainer adds bandages to a horse this could be a sign that there is an injury. The horse may have a tendency to cut itself while running. Overall, bandages are a bad sign that you should regard as a red flag. We recommend that you watch the horse run at least one race in the bandages before you make a bet on it. One of the most frequent betting angles that you will hear tossed around in horse racing is a horse receiving Lasix for the first time. Lasix is a generic name for the drug furosemide. This drug is given to horses who have shown a tendency to bleed during their races. When a horse exerts itself, the small blood vessels in its lungs can rupture. This causes the horse to bleed from the nose during a race. When this happens, a track veterinarian may require that the horse be placed on Lasix before it can run again. If the horse continues to bleed, it will be retired. Horses that do not bleed are able to run better, so taking Lasix for the first time may produce a dramatic increase in ability. But like a can of spinach for Popeye, the effect wears off quickly and usually disappears after the first race. Your PPs will tell you which horses are getting Lasix for the first time. It is sometimes common for a trainer to ship his or her horse to a track to compete. For example, a trainer who is based in California might want to give the tracks in New York a try. Shippers should be regarded with suspicion unless one knows the intent of the trainer. If a trainer wins frequently when they ship horses out of their local circuit, the horse might be a good bet. If they usually lose, not so much. The horse may also be shipping in because a trainer wants to get it claimed. He is afraid that the other trainers on his local circuit know that he horse has physical problems to contend with. Instead, he sends the horse where those who do not know its problems might be willing to risk a claim. Jockeys are one of the most important factors in horse racing. They are the pilot. If you see that a jockey is no longer riding a horse that they have ridden in the past, there must be a reason why. Trainers sometimes change jockeys when they believe a better jockey will help their horse win. Sometimes they change when an owner requests a new rider. It can be difficult to decipher a trainer’s motives, but let’s keep it simple. If a top rider no longer wants to ride a horse, that horse is probably not a great bet. If a top rider is taking over for a horse that has been struggling under a weaker rider, bet the farm. Horses need a break just like any other athlete from time to time. Trainers will often give a horse four to six weeks off after a hard campaign. When the horse returns from its rest, the smart play might be to watch a couple of races before making a bet at your favorite online racebook. Sometimes it can take a horse a few tries to get back into racing form. For whatever reason, many horses seem to perform well on their third race back from a layoff. They have had two races to get back into shape and are now once more firing on all cylinders. The key to making this tip work is to look at the good old past performances to see how a horse has performed after a layoff in the past. That should be a good indication of what it could do this time. Okay, we know this isn’t really a handicapping tip. There are times when nothing you try at the track seems to work. You try and try and come up empty. When this happens you may get discouraged. What you need more than anything is a few wins to get you back in action. This might be a good time to check out a horse race betting tip service like Betting Gods. You can try the service for just $1 and receive picks from top handicappers. All you need to do is make the bets at your online racebook and hopefully get the win you need to get back on track. Some horses just do better with certain trainers. And there are some trainers that just don’t know what they are doing. A horse that has been performing poorly under one trainer will sometimes be moved by its owner to a better conditioner. If the new trainer has better stats, you might want to sit up and pay attention. A trainer is consider excellent if they can maintain a win percentage of about 18% or higher. Trainers than win less than this are to be viewed with skepticism. You should get excited when an owner gets a better trainer. This might be just what a horse needs to win. An entire series of articles could be written on track bias. A race track is a curious surface that can be hard to decipher. It can favor one type of horse one day and another type the next. There are days when horses on the lead cannot be beaten. On other days, the horse which stalk the pace are winning all the races. You may note that horses in the 1 post position are winning a lot of races. Perhaps horses in the outer post positions are doing well. All of these things can come into play when you make a bet. The only way that you will understand a track bias at a certain track is to keep notes on your favorite circuits. As you pay attention to the horses that are winning, patterns may appear. Always remember that your opinion is just as good as the other guy’s opinion. In horse racing there are no absolutes. Everyone has to make an educated guess in order to try and pick a winner. The other bettors at the track generally have access to the same information that you do. They must apply their own handicapping methods and choose which horse to back. They do not know more than you. You have just as good a chance to win as they do. 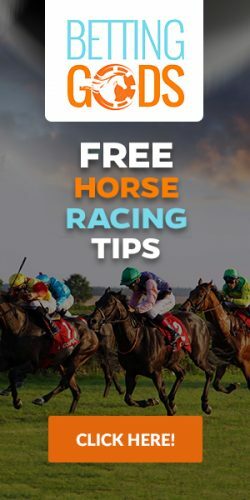 You can start using these 10 Basic Horse Racing Tips right now when you sign up at one of our recommended online racebooks. It only takes a few minutes to sign up and you can bet right from your computer, phone, or tablet.